Water is not just one simple substance with no variations; it has many shapes and properties, not all visible to the naked eye. True, we can easily see the differences between liquid water, water vapor (such as steam), and solid water (such as ice). But, that’s not the whole story. A fourth phase or state of water has been isolated. Like ice, it consists of solid water particles, but unlike ice, the particles remain solid at room temperatures — that’s new! The particles discovered have been named stable water clusters. 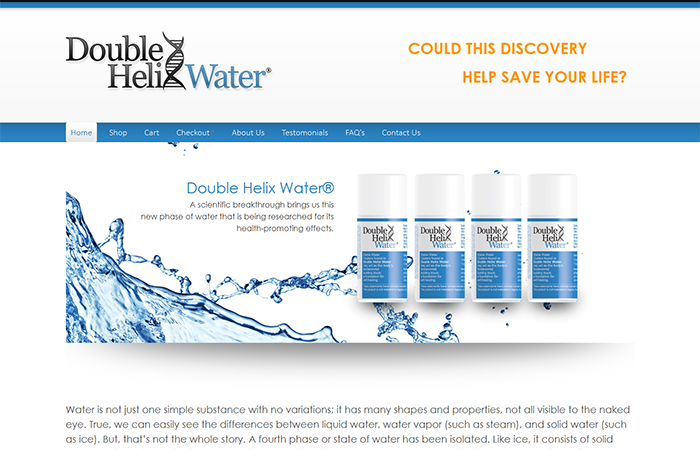 Research is being carried out on how Double Helix Water® affects the health of the human body.